This was after Vice President Kembo Mohadi donated 60 tonnes of maize and 30 tonnes of rice to Cowdray Park residents at a rally last week. 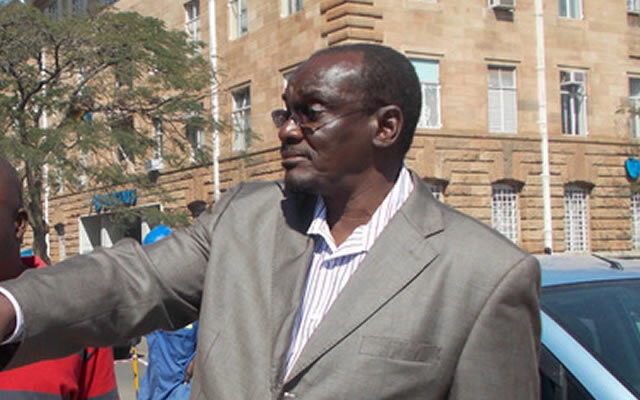 Zanu PF’s rivals are now alleging “vote buying”, with MDC Bulawayo provincial spokesperson Felix Mafa questioning why the donation was only meant for Cowdray Park residents out of all suburbs in the second city. “We strongly condemn this kind of behaviour by Zanu PF; its clear President (Emmerson) Mnangagwa has not broken with Mugabe’s past,” Mafa said. The Cowdray Park seat fell vacant after Happy Ncube of MDC died in December last year. A local businessman Kidwell Mujuru is representing Zanu PF in the by-election in which 18 candidates are vying for the seat. Two candidates — Collet Ndlovu and Nomagugu Mloyi — are representing the MDC after the party failed to resolve its internal fights. Over the years, Zanu PF has relied heavily on food aid to drum up support especially in its strongholds — the rural areas. But former War veterans minister Tshinga Dube who has been leading the Zanu PF election campaigns in Cowdray Park said there was nothing wrong with vote buying. “Vote buying is allowed, the 60 tonnes of maize we are currently distributing is meant for Cowdray Park only but as for 30 tonnes of rice it’s meant for the whole province. “Those who are accusing us of vote buying should just know that it’s allowed in politics anywhere in the world,” said Dube.